HealthTribe is proud to introduce you to our holistic health and wellbeing studio based in the beautiful Darenth Valley at Shoreham near Sevenoaks. After many years of searching, we are grateful to have found the perfect location for HealthTribe. The Quadrangle was originally a Victorian dairy farm but is now a peaceful venue and retreat centre. The lovely original buildings and tranquil setting provide the ideal space to reconnect with nature and help people focus on their goals. Our exclusive wellbeing studio fits well with the ethos of The Quadrangle and has been thoughtfully designed to provide our clients with a private space which is conducive to a calm and healing environment. This allows clients to achieve self-improvement through holistic health coaching and movement. 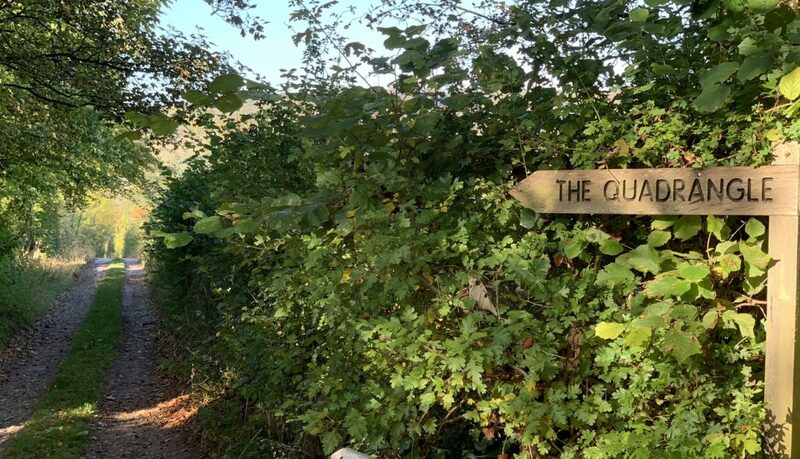 Your HealthTribe journey begins with sweeping views across the Darenth Valley and North Downs, follow the private driveway to the Quadrangle courtyard where you will find generous parking set within the handsome Victorian red-brick dairy farm. The picturesque buildings have been re-imagined to provide a living and working space for creative industries. The natural setting creates the opportunity to step back, think more clearly and explore new modes of action and well being. Get in touch if you’d like to find out more about what we do.